Tablets and iPads and Bears, Oh My! Tablets, in January? Not so much. The iPad wouldn’t arrive until April. And here we are, on the brink of autumn. 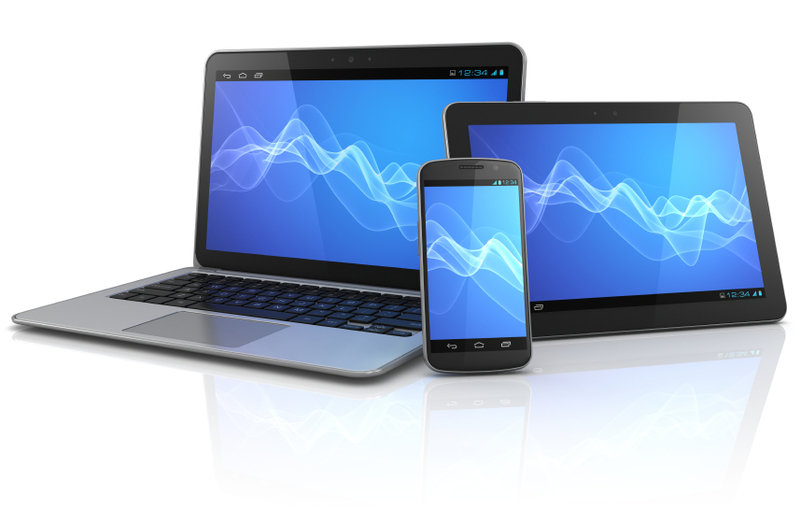 The action is shifting, hard and fast, to tablets for video viewing. The terms “on-net” and “off-net” are always nearby. Translation: What’s on-net for Verizon is off-net for Comcast – just as what’s on-net for Comcast is off-net for Cox or Time Warner Cable. Comcast wowed even ardent cable bashers (Gizmodo, Engadget) with its iPad remote in May; streaming every which way is next. DirecTV plans to add tablet viewing for this football season ($50 on top of the $300 NFL Sunday Ticket package; see cover story). EchoStar hopes its work with subsidiary Sling Media will sidestep the landslide of rights issues. Time Warner Cable pimped its iPad apps for remote control, remote DVR scheduling and streaming in a YouTube video on August 13. Verizon’s work targets a video app for Google/Android devices, initially marketed to its 3.2 million FiOS subscribers – but eventually to non-subscribers, too. As TV viewers watch efforts to go green on the screen, cable operators are starting to make strides to cut their own use of energy. Delivering TV signals is enormously energy-intensive. Electricity is one of the largest operating costs for cable-system operators across the U.S.
As a whole, the cable industry can recover an estimated $100 million to $200 million per year in electricity costs just by consuming energy more efficiently. And that’s before pursuing sustainable energy options. Like many other industries, the pursuit of sustainable energy in cable is somewhere between “turn off the lights when you leave” and full-on sustainability measures — solar panels, wind turbines, the works. The commitment is there; the timing is early. “Consumers expect us to be more efficient, inside our house, and inside theirs,” said Stephen Pagano, executive vice president of special projects for Time Warner Cable. In case you haven’t noticed, “green” is no longer even vaguely synonymous with tree-hugging, tie-dye and recycled cereal boxes. Fortune 75 companies have “chief sustainability officers”; Wal-Mart is planning for 100% renewable energy. It’s big business everywhere. Cable’s energy usage is spread across four segments: The home (set-tops, cable modems); the plant (amplifiers, power supplies); the headend (servers and more servers); and the fleet. A look at the state-of- the-state of “cable and green” follows. The digital set-top(s), cable modem and “EMTA” (enhanced multimedia terminal adapter, responsible for telephone services) form the triangle of power-hungry cable devices in a typical home. While the industry’s major manufacturers are actively working to comply with voluntary Energy Star guidelines, in-home electronics are where the most work is needed in cable’s sustainability efforts. Why? The boxes are on all the time, “24/7,” and don’t typically contain methods for going into “sleep mode” when idle. For $25, consumers can buy a gadget that measures the exact energy use of every electrical object in their homes. (One was used for this story.) A dual-tuner HD-DVR made by Motorola tested at 31 watts. Based on residential utility rates in Denver (about $0.14/kilowatt hour), that means each settop costs about $3.10 in electricity per month. Two boxes cost about $75 per year. The good news: As more processing gets jammed into “system-on-a-chip” (SOC) confi gurations, fewer chips are needed. Less chips means better power efficiency. Consider: Early digital set-tops used 12 or more chips to do what one chip does today. And the latest version of the “MoCA” (Multimedia Over Coax Alliance) spec for interconnecting electronics includes a way to put gear into sleep mode when idle. Watch for that in the 2012 timeframe. 2 AUDIT YOUR ENERGY USAGE. Examine energy costs. Investigate what you pay, where you pay the most, and whether you’re getting the best deal. 3 FIND THE “LOW HANGING FRUIT:” Search for easy savings. Find the obvious: Lighting, cooling, heating — is it organized for efficient power usage? 4 THINK “TOTAL COST OF OWNERSHIP.” Energy-efficient methods may seem more expensive than the status quo, at first. “I’ve been amazed at how many of these projects self-fund,” said Cox senior VP of engineering and technology Jay Rolls. Cox Communications, the leader in cable’s “green” efforts, is using its Phoenix system, among others, to work toward a corporate commitment to shave 20% from its carbon footprint in 10 years. Last year, the MSO put in a solar array in the valley of the sun that provides 217,000 kwh per year of energy for its system there. The free-standing canopy design also doubles to create shade for the parking lot. The photovoltaic system powers 3% of the building, Cox officials said, and reduces the company’s greenhouse gases by 152 tons – about what’s produced by 20 average households. The Society of Cable and Telecommunications Engineers in Exton, Pa., is also at work to power its headquarters with 12,000 watts of solar energy, said CEO Mark Dzuban, which is enough to handle the lights, air conditioning and “a good deal more”. Ultimately, Dzuban said, he wants a tagline under all SCTE correspondence that reads, “SCTE: Powered by the sun”. For the energy resource that is gasoline, operators are using a combination of methods to minimize consumption in their fleet. GPS (global positioning satellite) systems are a natural first step to more efficiently route technicians to service call sites. “It also yields tighter appointment windows, and we can dispatch the closest employee to a service call,” said Cox senior vice president of engineering and technology Jay Rolls. Comcast sends its technicians home in their trucks every night, to save the cost of driving to and from the office and to route them more effi ciently in the morning. The cable giant also purchases 100% flex-fuel vans (even in markets where flex-fuel isn’t yet available) and all 2010 purchases of vehicles for managers are hybrids, said Bret Perkins, senior director of public policy for Comcast. Weight and range are the challenges in going farther with electric vehicles: Can they bear the weight of supplies and test equipment and can they go far enough without running out of juice? Cable is trying to reduce energy consumption at the same time its components are becoming more energy-intensive. Refresher: Headends started out as the places where signals came in (from satellite or broadcast antennas) and were processed, mixed and imprinted onto the wires to get to homes. That’s all still there, but so are the racks and racks (and racks) of servers necessary for practically every new digital service. These days, headends are turning into data centers — and data centers are crammed with energy-hungry servers. Servers run hot. For that reason, more than 30% of a headend’s power requirements go to air conditioning. Comcast’s sustainable energy work began in its West Chester, Pa., data center with an energy audit. One light switch for the entire facility? Go to zoned lighting. Ditto for heating and cooling: If only a quarter of the building is occupied on the weekends, climate-control only that segment. 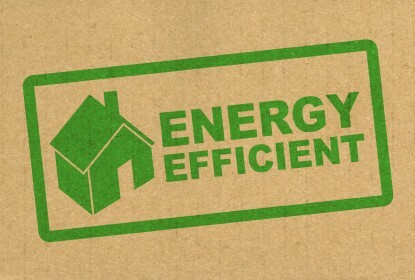 Systematically checking the obvious can trim as much as 10% to 20% from existing energy costs, estimated SCTE CEO Dzuban, a sustainability champion who implemented the industry’s “SEMI” (Smart Energy Management Initiative) effort last year. Dzuban estimates the industry’s annual energy spend at around $1 billion to $1.2 billion. That represents between $100 million and $200 million in potential savings (read: low-hanging fruit”) each year — and that’s before adding renewable energy features. The distance between the home and the headend, known as the “outside plant,” isn’t as heavy with amplifiers and power supplies as it was before fiber-optic distribution entered the mainstream, but it’s still an energy glutton. Finding sustainable energy for the outside plant will be more about supplementing its aggregate power needs than targeting individual components. Don’t watch for solar panels strapped onto amplifiers, in other words. Instead, the renewable energy future for outside plant will consist of photovoltaic (solar) arrays or wind-turbine farms, making clean power that off sets carbon-based power supplies. Before that happens, though, operators will target the industry’s many remote sites, where commercial power isn’t available. Right now, those facilities mainly run on diesel generators. Mountaintops don’t usually come with natural diesel resources — but there’s almost always sun or wind. Renewable energy sources, plus batteries, can lop 30% or more off the cost of hauling diesel up the hill, and using it to feed generators, said Drew Zogby, CEO of Alpha Technologies, a longtime manufacturer of power supplies for cable. This column originally ran as a cover story in Multichannel News. Once upon a time, changing channels on the TV meant standing up, walking to the television, and turning the dial. Another channel appeared, usually the second of three available channels, maybe four. Then came the wired remote. From the Barcalounger, you pushed a button on a brick-sized object hardwired to the television, and another channel appeared – the second of maybe 12 channels. Next: The cordless remote. Whether it came with the set-top box, the TV or both (which spawned the age of “remote clutter”), you pointed the thing at the TV, pushed a button, and something else appeared on the screen. Maybe it was another channel, or a grid guide, or an on-demand menu. Right now, at this very moment, the channel change is changing again. (The plumbing of it, anyway.) Surprise: It’s yet another tangent in the ongoing story that is video over IP. First is how the zapper zaps. Most set-tops and TVs right now use infrared to signal back and forth with the remote. What’s coming next: The use of Wi-Fi, Blu-tooth, and RF (radio frequency) to switch channels. This means you won’t have to point the remote (or the iPad, or the Blackberry) at the TV. Note: This is weird at first, but great when the dog is standing between you and the TV. 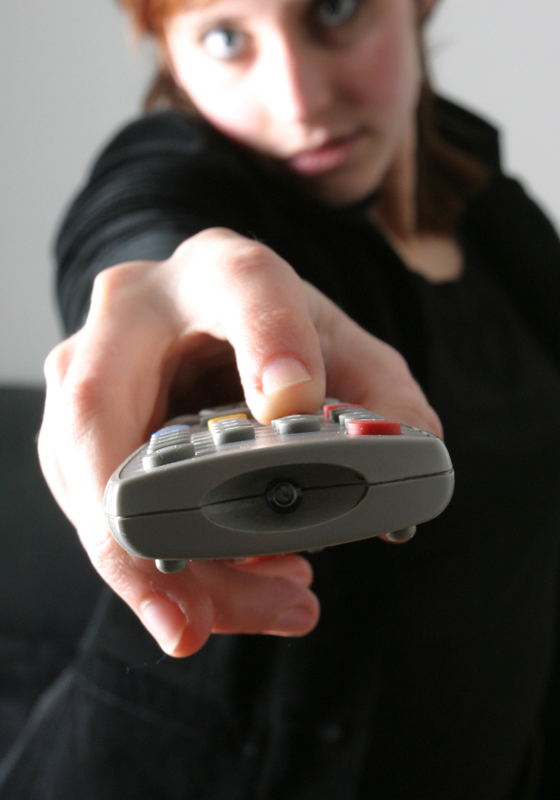 Here’s how it works on today’s switched digital video systems: You change channels with the remote. Your click goes into your set-top box, which pops it upstream to the switch. If anyone in your “service group,” or neighborhood node, is watching what you asked for, the switch responds by telling your set-top what frequency and “PID” (packet ID) to tune. If not, the switch consults a thing called an “SRM,” for “Session Resource Manager.” It grabs the PIDs of the channel you want to watch, then says how that stream gets back to your house – over what frequencies, on which edge QAMs (quadrature amplitude modulator). Note that IGMP isn’t all that widely deployed, mostly because there’s not so much multicast video moving over the Internet – more, it’s all on-demand and point-to-point. “Unicast,” in IP speak. In cable, the logical place for channel changing on the IP side of the network is within the work CableLabs is doing within the “PacketCable Multimedia” (PCMM) group. People tend to correlate PacketCable with voice, but “PCMM” grew since then. It supports both unicast and multicast delivery protocols — but isn’t “gear” yet. In any case, you still won’t have to stand up to change the channel.